When it comes to having ads on your blog or website, there are a couple of different pricing strategies that you can employ. If you have a site that generates a lot of traffic every day, you might be quite happy to go with ads that pay by the number of impressions. On the other hand, if you have visitors to your site that are receptive to advertising, it may be better to charge advertisers per click (pay-per-click, or PPC). 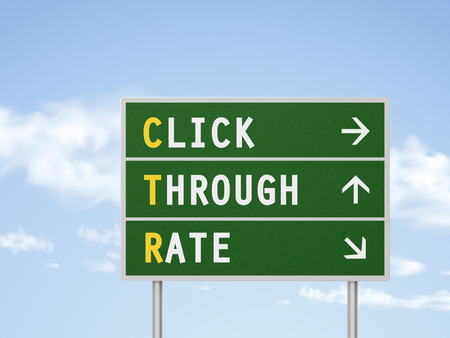 You should choose an powerful ad server that supports CPC, CPM and even hybrid ad pricing. There really is no right or wrong answer when making this decision, but here are a few things that you may want to consider before making your choice. Very few websites get the same amount of visitors every single day, which means that ad impressions (CPM) can deliver an earning that fluctuates based on the number of visitors and pageviews. The good thing about CPM ads is that you do have the ability to boost the number of people arriving at your site by delivering quality or viral content or by running a promotion. On the other hand, having a huge upsurge in traffic means nothing in the CPC model if people are not clicking on the ads being shown. While you can’t possibly know how many people will visit your website on any given day, you can average it out using the traffic pattern and historical numbers. This makes it easier to calculate how much ad revenue you would likely earn with CPM ads. It’s not quite so easy with a CPC ad model because you never know how people are going to react to the ads they see. When running a CPM campaign, you don’t have to really worry too much about the ads on display to be particularly eye-catching, attractive or interesting. But that all changes when you have a CPC ad. Since you only earn revenue when a visitor clicks on the ad in question, you want to work together with your advertiser to ensure that it is attractive, and perhaps more important, it is relevant to what your site is about. These are the kinds of ads that get more attention and hopefully more clicks. A low-quality ad with a low click-through rate (CTR) might show many thousand of impressions without any click and that simply wastes your valuable ad inventory. After you have run a few ad campaigns that are a mixture of both CPM and CPC, you will have some baseline numbers to calculate the effective CPM rate (eCPM), which can be used to compare between different ad pricing models, including CPC and CPM. If you are still on the fence about which way to go, why not leave the decision in the hands of the advertiser? After all, they know exactly what they want to get out of their ad campaigns. If it’s just about getting the message out about a new product or service, they may be quite content to run CPM ads. On the other hand, if they are trying to drive quality traffic to their website or to generate leads, then you can almost guarantee that a CPC campaign is what they will run. On your end, you want to make sure that you have figured out an equivalent rate between CPC and CPM in order to set a suitable CPC rate that is not too low or too high.